After a test and acceptance period, netage.nl is proud to announce the IBM DB2 NoSQL Graph Store now plays a crucial role in its RESC.Info deployment at the Amsterdam-Amstelland Fire Department. 20 Firestations and 500+ Firefighters use the RESC.Info.Monitor product in their daily operations. The data used by the RESC.Info.Monitor product now comes directly from the IBM DB2 NoSQL Graph Store. Together with the IBM WebSphere Application Server Community Edition, DB2 now plays a central role in providing the best possible foundation for the ground breaking work done by netage.nl. The choice for IBM software is completely in line with the netage.nl philosophy to use whats proven and innovate where necessary. The path to implementing of Semantic Web technology on top of these products has proven not to be an easy one. Great support from IBM representatives however helped a lot to make everything work. The choice for the Community editions is motivated by starting small but allowing the possibility to answer future scalability demands. The flexible support options allows netage.nl to start with low cost proof of concepts while ensuring that future high level support demands can be provided at the same time. During this years IBM Information on Demand in Las Vegas, USA, Bart van Leeuwen will talk about the lessons learned and will give an inside view of all the specifics of running IBM DB2 NoSQL Graph Store in a JEE environment. Op 3 Oktober 2013 zal Bart van Leeuwen spreken tijden de Second MakoLab Semantic Day in Parijs. De MakoLab Semantic Day is mede georganiseerd door MakoLab SA (Łódź, Polen), Mondeca (Parijs, Frankrijk), Department of Information Systems (Poznań University of Economics, Polen) en het Polish Academy of Sciences – Scientific Center in Parijs. De rode draad van de Second MakoLab Semantic Day is de wisselwerking tussen ideeën en de theorie van het Semantic Web en haar praktische toepassingen. De twee fundamentele doelstellingen zijn: te blijven opleiden over deze nieuwe kijk op het web en deskundigen uit verschillende vakgebieden te verzamelen en hun zeer pragmatische toepassingen demonstreren. Ook Bart zal tijdens zijn presentatie deze dag iets vertellen over zijn praktische toepassingen van het Semantic Web bij de brandweer. On November 6th 2013 Bart van Leeuwen will present at IBM Information On Demand 2013, IBM’s largest EXPO to experience products, services and solutions in action. The IBM DB2 NoSQL Graph Store development team requested if we could tell something about our use case for the IBM DB2 NoSQL Graph Store. The session will be about the why and how netage.nl is building a platform with several fire departments to collect and classify information for firefighters. 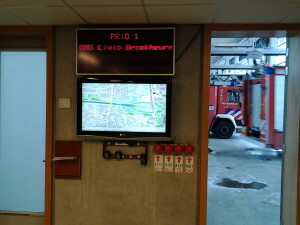 The platform combines enterprise robustness with cutting-edge technology to help firefighters stay information aware. Recently, we discovered a bug in Geronimo application server, which is also visible in all dependent products such as IBM WebSphere Application Server Community Edition. Our work is documented in GERONIMO-6138. IBM announced an updated release of their application server for the end of June 2013. We discovered the problem while migrating our triple store from Jena TDB to IBM DB2. The IBM DB2 triple store is fully compatible with the Jena API and uses ordinary database connections to talk to DB2. However, it requires support of JDBC 4. The initial release of Geronimo 3 stated full Java EE 6 support, which includes support of JDBC 4. The JDBC support is provided by the third party library tranql. However, the included version was only compatible with JDBC 3. Our fix updated the dependency on tranql to the right version and adapted Geronimo to API changes in the new tranql version. Op 5 juni zullen Bart van Leeuwen en Moritz Hoffmann namens netage.nl spreken op de Semantic Technology & Business Conferentie in San Francisco, Verenigde Staten. Ze zullen hier een presentatie geven over hun gebruik van semantische technologieën bij de brandweer. netage.nl heeft hiermee de afgelopen 2,5 jaar veel aandacht gekregen in zowel de semantische als de brandweer wereld. Zij vertellen in de presentatie hun verhaal, van het prille begin tot het huidige gebruik en de ideeën voor de toekomst. On February 8th 2013 we deployed the first RESC.Info monitor installation in Switzerland. 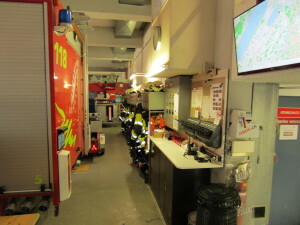 The Murten fire department in the Canton of Fribourg will be using our system within the BREF MissionFusion project for the coming 3 years to gain experience with our new approach of information management for emergency responders. The Murten fire department is really enthusiastic since they are a regional support point they have to go to incidents up 35km away. Local knowledge is practically non existing at those locations so the RESC.Info monitor gives them a good first hint on where to go. This installation was made possible through the support of the BREF MissionFusion project. Together with the Bern University of Applied Sciences and netlabs.org. netage.nl acts as the specialists in the emergency response field where our practical experience has shown its great value. The BFH will provide the infrastructure and contacts to the various government agencies. netlabs.org will provide the various government agencies with tools to generate and publish linked open data. While installing the first screens at the Murten fire station it was great to see the various fire fighter coming in and being enthusiastic at the first glimpse of the screen. Together with Adrian Gschwend of netlabs.org we had lively discussion about where we could get more data for the system. We were able to guide the discussions based on our long running practical experience with both emergency response and information management. The conclusion for all parties was clear, this is going to be a interesting and long running partnership to make the work of fire fighters in Murten safer. Can the alternate dispatch method of Twente be implemented in the system. The evaluation did not just include the operation of the current implementation, but also included an outlook at the next steps. The team at station Enschede is enthusiastic about the added value the monitor brings.